Spyderco Pingo--Black FRN Handle/Plain Edge SPC163PBK. The Pingo was designed by Danish knife makers and is specifically built to conform to the knife laws in Denmark. 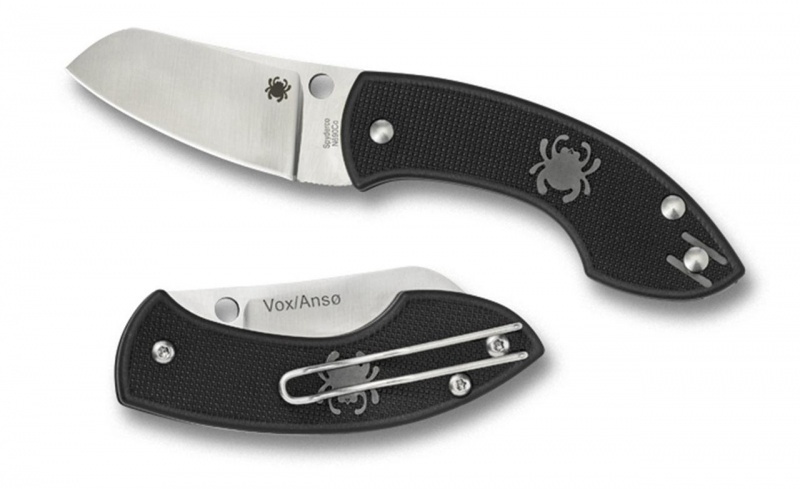 It features a 2.35 inch sheepfoot blade, a black nylon handle, and a two-hand opening design. Although it has been designed to meet the needs of the Danish community, this is a great tool for knife users everywhere! Do you own Spyderco Pingo--Black FRN Handle/Plain Edge SPC163PBK? Tell us about it! Have a question? Ask!